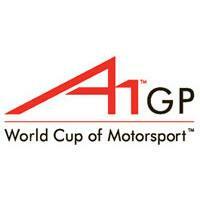 The A1GP is an auto racing competition of single-seaters organized since 2005. It was founded in 2005 by Sheikh Maktoum Hasher Maktoum Al Maktoum of Dubai, who wanted to create a World Cup for Motorsports for different nations to participate in. The points are given solely to teams, so there isn't a championship for drivers. The 22 participating countries compete against each other in 11 events, racing on all five continents during the northern hemisphere winter, the Formula One off season. This is a list of the classification of all A1 Grand Prix seasons.